Diego Simeone heaped praise on another solid Atletico Madrid performance as they kept the pressure on LaLiga leaders Barcelona with a 3-0 victory over Huesca. Saturday's triumph extended Atleti's unbeaten run to 17 games in the league and cut the gap to Barca to just two points, although the Blaugrana have a game in hand. It was a comprehensive display from Atleti as they weathered early Huesca pressure before taking the game away from the strugglers. Simeone was pleased with the display from his side, who he says have been working themselves into form since they returned from the mid-season break against Sevilla. "I keep repeating that from the Sevilla game onwards we have always competed well, generating chances," he told reporters. "Today the team played at a very good level during the whole 90 minutes. That gives us great excitement." Full-backs Lucas Hernandez and Santiago Arias put Atleti 2-0 ahead before Koke marked his 400th game with the game-sealing third. 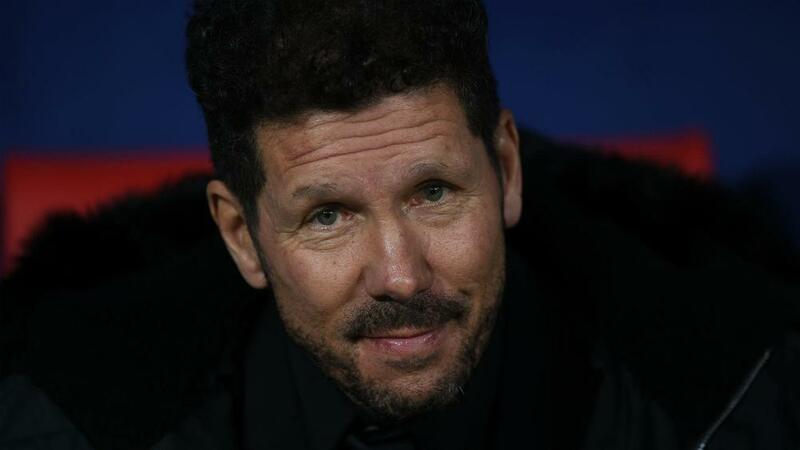 The victory came despite an injury crisis at the club that saw Simeone only have 13 fit senior players available in Huesca, but he hopes that will ease following their Copa del Rey exit. "We knew since the beginning of the season the difficulties that we were going to encounter," he added. "We are out of the cup so that allows us to recover people and be in the best conditions for the competitions we are competing in."